Hanover – With one eye on their UEFA Champions League play-off clash with Lazio, which is finely poised after a 1-0 win for the Italians in Rome, Bayer 04 Leverkusen head to Hannover 96 on Saturday (kick-off 15:30 CEST / 13:30 GMT) looking to make it two wins out of two in the Bundesliga. Hannnover striker Charlison Benschop scored with only his second touch in last weekend’s 2-2 draw with SV Darmstadt 98. 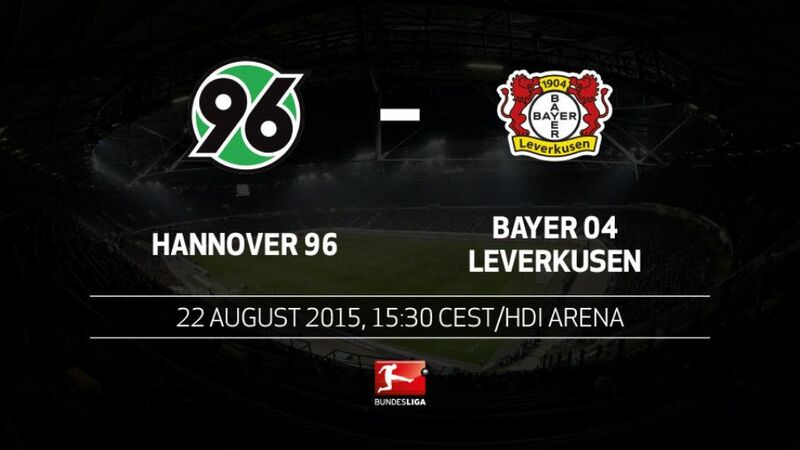 In four of the last five seasons, Hannover have won their first home game of the campaign. No other team scored more substitute goals than Leverkusen last season (eight). They already have one in 2015/16 (Julian Brandt). Hannover have missed three of their last five penalties in the Bundesliga, including Mevlüt Erdinc’s effort on Matchday 1. Leverkusen striker Stefan Kießling has scored six times on the opening day of the season, but only twice on Matchday 2 - and never away from home.